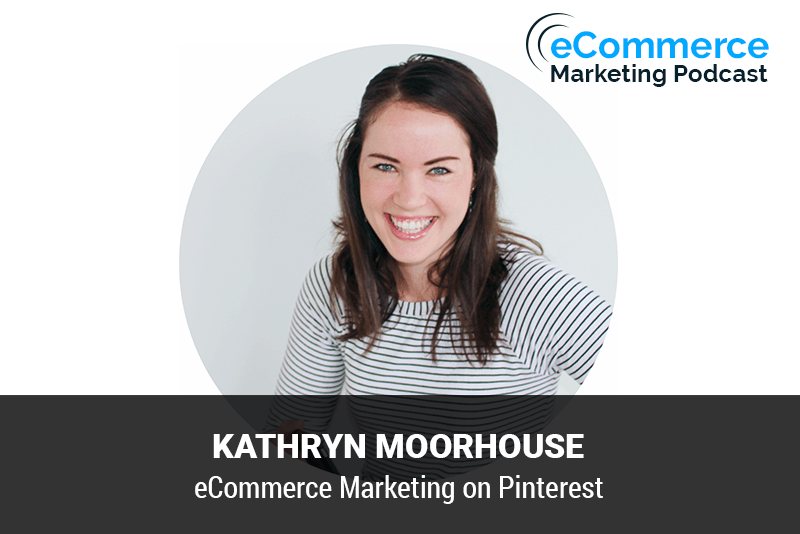 Kathryn has become the go-to expert for helping high performing entrepreneurs grow their audience and income using Pinterest. As an entrepreneur herself, she understands the ins and outs of marketing an online business, and her passion for Pinterest has led to an expertise in that niche. Kathryn is passionate about helping entrepreneurs grow their businesses through strategic marketing with Pinterest. When she's not teaching entrepreneurs the secrets of Pinterest, she's drinking way too much Iced Tea and traveling with her husband. Welcome to the podcast Kathryn. Thank you so much for having me. No problem. It's a pleasure. I am also a big fan of iced tea. Yeah. I actually love is Arnold Palmer's. I don't know. Are you familiar with what an Arnold Palmer? No, I didn't. What is it? You're from South Africa's. I didn't know if it's a kind of a an American thing I've heard and it was it was coined that by the golfer the pro golfer Arnold Palmer and I believe he has passed. But yeah, he was a very professional golfer very top golfer and least favorite drink was an iced tea half ice tea. Half lemonade and it sounds delicious. Yeah, I love it. If you say that at any restaurant in the u.s. Even though it's not on the menu, you can always get it if they have iced tea and lemonade just say I went on a Palmer and they'll know what you mean. So when you get a chance definitely try it try it. Try it with sweet tea. It is awesome. That sounds amazing because lemonade is my second favorite drinks. So yeah, it's brilliant. Yeah, definitely try that is definitely great having you, you know before we get into the topic. And as we know you are a Pinterest expert and we're going to be talking about Pinterest which is a topic that we actually unbelief have covered much at all on this podcast. So I'm really excited to talk to you about it. But before we get into all that, why don't you tell me a little bit about your background and specifically how you got into what you're doing today. So you can Enlighten our listeners as to where you are definitely. So as you mentioned I'm a pinch of strategist, but there was quite a journey that led to that point. I studied business and. Sing in University and when I left I got into corporate and to corporate marketing specifically and I started to realize that the environment wasn't necessarily the right fit for me and I quite enjoyed being creative on my own terms and creating things that had meaning and impact for what I wanted to do. And I wasn't really sure way to go. I was pretty young at that stage and had no idea what to do. So I actually became an old pair to give myself time to really think through what I enjoyed doing and what I wanted to do with my degrees and I really love that point because it sort of challenge me on all levels and I was also not paid for a marketing manager. So it worked really well because I was learning all these great things from her while looking. Well I was on Old pay for her. Somebody see by that in the in the US women not be familiar with that terminology, but I am familiar with it that that's our equivalent of a nanny. It's really the same. Yes. Yes, exactly a nanny. So I was a nanny and she was Moxie manager. And so it was a really great combination where I learned a lot from her and I was also really enjoying spending time with the kids and teaching them. And through that I started playing around with making kids clothing and my husband also works from home. So I started seeing the kind of Lifestyle he lived and the fact that he was able to create the things that he felt made a huge impact in the world and I wanted that as well. I wanted to replicate that exist in my interests. And so I started making baby clothing thinking that was the direction I wanted to go in and I opened up a baby clothing online. And I loved it. I loved every minute of it because it challenged me in the handmade departments. I had to learn how to sew and create these amazing things. But I also was using all of my marketing skills in my business skills because when you run the business, you have to know how to run the business and you have to know how to market the business and I really enjoyed that aspect of it. And so as I got involved in doing this my connections grew in the industry and some of the people started asking me how I do certain sir. Media tossed and things like that and one of my connections said that she needed a social media manager. So that's how I actually entered the social media marketing World in an online sense. And so I decided to dive into that because I was still deciding where to go and it was a month in and I decided yes, this is the perfect fit for me. I love being able to bring my marketing and a few months later. I was booked solid and a few months after that and knees down to Pinterest because I absolutely loved what the platform. And for businesses, and it was one of my favorites and so that's really how I developed into this specific Niche. Okay, great. Great. That's an awesome story. And I think as far as what you were saying about looking at what your husband was doing and really just seeing being kind of envious. I think it gets I guess you kind of had a little case of fomo for me with that is the fear of missing out you saw him having all the fun you had to join them. Exactly exactly. That's awesome. And yes, I've been an entrepreneur for over 19 years now, so I know how it is and I wouldn't trade it for the world for sure. Now, you know for the listeners out there that aren't familiar with Pinterest. Now exactly what it is. Why don't you Enlighten us a little bit and tell us you know what it is and what you can do definitely so Pinterest for a lot of people who may have seen it before but haven't really used it. They would have heard that Pinterest was a place where you could find recipes and DIY home decor and things like that. Now it did start out like that. It was a place for you to basically put together your vision board save ideas from across the internet instead of clipping things out of the magazine. And so that's really where it began. But it's developed into this amazing platform that businesses could use and normal individuals who are just pinners could use so how it works is it's actually if you want to think of it in a social media sense in a marketing sense. It's as if Google and Instagram had a baby, okay, I know that's a weird combination, but it helps people understand how it functions. So it's got the amazing search engine functionality of Google. That's really what drives it. Then you have the beautiful Aesthetics of Instagram. So when you come to Pinterest you'll notice that if you search something in the search bar, very similar to a Google Experience where you type something in and you get a result. It really is a robust search engine but instead of getting text-based results you getting visual results. So you getting pictures coming back at you and those pictures are obviously keyword targeted. So it helps Pinterest find them across Pinterest and showcase the results. The reason why it's so valuable to a lot of businesses now in such an amazing platform is because the world is moving into a visual space. We love visual content. We love videos. We love seeing things in a visual sense rather than a taste based answers much and even listening to podcasts and audio everything is moving into new forms of communication new forms of people seeing things and so when you get a visual, Let's just go with the basic simple thing that everybody thinks about which is a recipe instead of getting the title of the recipe that you would in Google where it says the best cranberry recipe for Thanksgiving in Pinterest. You're getting a picture and when you get a picture with a bit of text on top of the picture saying the base cranberry recipe the picture also helps you decide if that's the right piece of content for you to click on you can see immediately if this is what you want as a pen. So what businesses can do now is they can showcase their products specifically, let's go with like a home decor business where they have bedding and all sorts of beautiful home decor pieces instead of just saying that you have it in a text-based format writing a blog post and it shows up on Google in text format you now showcasing the actual bedding used in a room beautiful photos and people are more likely to click on it to want to purchase that product. And so. This response that you get is hugely different to other experiences. And what makes it different to Instagram is you can link the image to an actual URL. So when they click on the image, it takes them directly to the product or directly to the podcast. So it has a huge huge benefits. Yeah, that is the big difference between like you said Pinterest and Instagram because. I know kind of a my side of the fence dealing with Instagram and you know, we have an affiliate referral software here at a time nice star. And that's one of the biggest challenges these days is is tracking things on Instagram. We know they've enabled some things now where you know, they have the slip up pages with Instagram where you can the store now. Yeah with the stories you can flip up and have that go to a page but you've got to have I think at least 10,000 or so. Followers in order for the you to get that functionality. So it's still kind of restrictive it is and also one of the biggest differences that I'd like to mention two is Pinterest host Evergreen content. And so that means when you post a PIN to Pinterest for example. It'll stay up forever. And when someone searches something it's not like an Instagram feed where they go to your Instagram feed and that have to scroll all the way down two years worth of content to find the post you posted two years ago with the product that same pain that you posted two years ago on Pinterest is still there. You can keep repinning it or the word it like it's called repin but it means reposting it to your boards and things like that, but if someone searches on Pinterest and it's tagged properly. Complete with the appropriate keywords that pin from two years ago will show up with all your other pins as well. So it has this longevity to it as well where you don't have to keep recreating, you know opposed to try and get people to click on it or change the way you intro this product over and over again, you just have to create a few variations of images for that one product and rotate them over and over again on Pinterest. But all of them will continuously be on Pinterest. So anytime you add a pin. It'll stab that can. You click through to your website two years later. Okay. Yeah, that's awesome. Yeah, that is huge functionality for sure where you can't do that. A lot of other platforms, you know definitely, you know, I love your explanation and description of it being a cross between Instagram and Google. I had never heard anyone put it that way, but you're totally right. That's really exactly what it is. Now, you know the e-commerce listeners e-commerce business owners outhit there that are listening are wondering. Okay sounds awesome. But really, how can I take advantage of this and what are some common marketing strategies that a business can utilize on? So some of the greatest benefits of using a business account on Pinterest specifically for e-commerce stores is you get access to something called Rich pins. A bridge pen is a pen that has extra information attached to it and you just have to enable the functionality on your website with either a bit of code. If you've got a Shopify store, it's literally just connecting the two so it's super easy. But what it does is it actually pulls the price of the product whether it's in stock or not the description all of that straight. Into Pinterest with the pin so when someone sees your PIN for a product, for example, they will see the price of it. They'll see if it's automatically on sale because that will happen automatically when you change it on the website it'll change on your pin and so it will showcase that it's out of stock or in stock. It will showcase that it's on sale. It will showcase the pricing and they can click buy the product and we'll take them straight to the product page. So you have this extra functionality that you're getting where people who click through a mall. Validated as customers. So that's one of the biggest strategies that I say e-commerce businesses should take advantage of is ensuring that all of their pins that lead to their products are rich pins specifically product Rich pins, because what happens is when someone sees it they are seeing that extra information that answers the questions that they may have now if they click through on it. They've already seen the price. They've seen the description. They've seen a lot of the information. The only thing that's stopping them from purchasing. It is probably looking at reviews. So that makes a huge difference when the amount of traffic coming to your site has already seen the price of your product. So they're not going to be you know, dissuade by the price. They're not going to be against the the description because I've already seen it they really are looking for maybe one extra piece of information which might be the reviews before they purchase. So that's definitely one thing you want to. Sure that you utilize the next thing is to make sure that you look at your pain images in a way that opinion would want to see it. So when someone searches on Pinterest they looking for inspiration they looking for ideas or they looking for something to buy specifically they're doing some research. So you need to know that one of the great things about Pinterest is pain in Stone from find getting content from businesses. It's the one place they don't mind it because when they look for something like when they go onto Pinterest for inspiration, they don't want just a, you know, a piece of information. They want the answer and if that answer is the product then that's what they want. When you think of someone looking for ideas for their bedroom decor. Let's just go with that example again. They aren't looking for you just to tell them, you know, five ways to create your bedroom decor so that it's like a boho theme or something like that what they want to see they want to see the ideas and they don't mind if you showcase your product in those ideas either and that inspiration. So the reason that they don't mind is because if they see that inspiration and they like it, what's the next step they want to do. They want to make it happen in real life and by giving them away to buy that product they are so okay with that because they really okay with seeing a product promotion because they want to take action on it and they want that inspiration if they use it just as inspiration. They're happy with that if they want to take a further step they want to make sure they can click through on that and take action. So when you think of your PIN design you want to think about what questions they're asking when they're in that mindset. If someone wants to redesign their bedroom and you sell bedding, how are you going to Showcase this bedding? What kind of questions do you think they are asking firstly they want to see some Styles and so you want to showcase your different betting Styles, but you also might want to showcase the same bedding item. This is the same piece of bedding in different bedrooms style. So maybe it's suitable for a boho style a white bedroom a gray bedroom. So when you do your photo shoots consider that as. Consider how you showcase that in your images because you want to showcase those different elements, but you also want to think about what they're asking and that moment. Let's put it that way. Yeah. And what I was going to add is when you were mentioning the home decor and a business that is. You know, maybe it's an interior design actually started thinking about home sales and this is something I'm not familiar with the maybe you can Enlighten us. It seems like Pinterest would actually also be a an excellent platform for real estate sales, like for realtors, you know, promoting their listings. Is it something that's been used heavily or are you familiar with that where you know because you could of course display a home you can split interior. Views have the price information and of course, they can click through to the Realtors website that contact them for more information. Is that something that many Realtors are using these days? They are you can see more and more of that happening at the moment. It's been a slow progress, but I'm definitely seeing more and more of that. Now whenever you search for home ideas, you'll see a lot of those lead to the websites where you can actually see their home or you can see the architect who designed it. So it works for both sides. Someone who designs a home and someone who sells the home. So it really works for all the parties involved. And so it really is a fantastic platform for that and I've seen that grow over time and thinking people are. I'm going to use it more and more as they start seeing conversions and people inquiring and and using them in the future. I can definitely see that for sure. Yeah, I know several realtors in this area. And yeah, I'm actually going to check with them and ask them had they thought about that. There's one person. I know that just recently lost a brokerage. So I'm definitely going to mention it to him. One of the things that I always like to look at because you know, you have all of these companies out here that. You know, I have a lot deeper Pockets than you know, kind of the average maybe startup e-commerce business. So he Commerce business that she got to just getting going. So I always recommend you know that you can kind of gleam certain things from these larger businesses because you know, they've done a lot of the work they've done a lot of due diligence and they've got, you know, millions and millions of marketing dollars behind them. So what I'm wondering is. You know, what are some companies or brands that you know business looking to implement in a Pinterest strategy can find some just some inspiration. From when they're planning their own Pinterest profile so to speak definitely so that is such a great idea. And I think also when it comes to looking at those bigger Brands, there are few things that you want to look at. But in order to do that, I would suggest that you find Brands within your industry. And potentially within complementary Industries to look at for inspiration. So one way that you would do that is to go onto Pinterest and go into the search bar and type in your industry. So just a general broad topic like we said home decor as maybe the topic that relates to your industry if you sell betting go into home decor if you're a realtor going to Real Estate or home ideas or home inspiration. And what you'll do is on the top right hand corner, you'll see there's a drop-down where you can select. Penn's boards or people and you want to select people that's going to Showcase all the people who've Associated their profile with anything to do with that industry or that title like home decor and what you'll start seeing. People who are brand specifically big brands that you may know off Pinterest. So maybe you know about them because other social media channels or because you've engaged with them in the community go and visit their Pinterest profile through that search. The reason I say that is because sometimes when you look at other Industries besides your complimentary Industries and your own industry is that you start seeing ideas from. Other industries that may not work for your kind of brand when you're just starting out take a look at what's already out there through those Brands and that's how you would find them by doing that search and when you find them going to their profile and just take a look at what they're doing. One of the things that I want to encourage you to do is to realize that you do want to create a beautiful profile on the outside. So you might see some of these big brands with beautiful board covers and beautiful images and things like that and it's important but what I really want you to look, When you do that is I want you to go into one of their boards where they have their content. I want you to take a look at their pin design and then their pin description and see what their pain design and tells what kind of variations have they created to sell their product and make a note of that and take a look at if any of those kind of design ideas. Would mesh well with your business and with your industry and what you're doing and then when you take a look at the description take a look at the keywords that they're using in their descriptions. See if there's a trend between the keywords of the using if they keep using a keyword Like Home Decor kitchen Daigle you realize that they're trying to Target that keyword so that they show up under that search result. So when you when you clean this information and its inspiration from them, you want to look further than just what it looks like. You actually want to see the template pin that they create and you want to see the template description that they're creating and you do that by analyzing it a little bit longer than just seeing if it's pretty or not. You know and then once you've done that now you can step out and find other people who aren't necessarily in your industry. Now, I always say that's sort of The Next Step because. Other Industries might be doing something on Pinterest that would work really well for your industry. So why not? Give it a try, you know, but you do want to make sure that you taking the first steps by looking at what's out there and seeing how you can create your own base of content like that and then step out and create some new exciting things. Yeah, that makes total sense. And I appreciate that advice you have for sure and I guess the key thing there is you want to focus on those brands that are you know within your industry and you know kind of go from there. You can learn some things and then from there. See how you can take a step up. Yeah, exactly. Take it up a notch and ticked exactly for sure. You definitely want to do that. Now. I was looking like your website and I think you probably already answered. My next question when I was looking at your website. You kind of hit it right on the head. You said Pinterest really is not a social media platform, but it's a visual search engine and I think you're so right about that because my next question was going to be do you feel that Pinterest? Is going to be you know, one of those social networks or platforms that's here today and gone tomorrow because you know, we've seen them all and it's it's tough these days especially with something new and administers been around for a little while, but I'm just wondering does it fall into that category of it, you know, just kind of being a fly-by-night trend and then, you know a couple years from now people have forgotten about it. What do you. Is it and I agree with you with the visual search engine and I've not being a social network. But there are the interesting thing is at the end of last year that we're introducing some more social aspects and I think that's because they do want to bring people in who can communicate and collaborate and we are in a stage of life now where collaboration and you know brand relationships and things like that. I really standing out and very important for consumers. And so I think the reason that they're adding and more social elements to what they're doing now is there wouldn't be a visual search engine and they want to make sure that they captivating people with the ability to communicate with one another but the thing is. I do think it will be here for a long time in the reason I say that is because they have been a very small business for a while and they've been building and building and building their have over 250 million users monthly at this point and they have over 600 million visual searches a month and over think it was like 2 million. So I just general searches a month. So they doing quite a bit in terms of visual searches and normal searches and they constantly coming out with new Innovations. One of the things that they wanting to do is they want to really take over the visual side of the industry. So they are making sure that when you add a pin people can actually take a picture of their coffee mug if they want a coffee mug similar to that and they can search Pinterest to find one that's like that. So you don't even have to search for you can now use visual cues. And so they started to do all these things. Another indicator is that they are trying to go public this year. And so they've been investing a lot in their platform. And in the growth of their transform so Pinterest ads have become a bigger thing. Now, they've also made their entire platform more robust in my opinion in terms of the opportunities available to businesses and how they run the platform and because they're trying to go public they obviously getting everything in order to do that. So it doesn't look like they're wanting to go away anytime soon and by the amount of signups they have and the continuous signups they have it doesn't look like that. One of the things that people also get a mistaken buyer. The statute does say that we have about 70 percent woman on the platform 30% man, but 50% of new signups every month are men. So it's really growing and both spectrums now not just for women and people targeting women. It's now actually both genders, which is quite an exciting Trend that definitely is in those stats that you mentioned really are. I mean, that's just nothing that really sneeze at that's you know, that's quite a lot of traffic. That's some really good growth as far as the amount of. People that they're getting a subscribers or however you want to call it. I agree. I don't see it going anywhere anytime soon. Now, you know, the one thing that I was actually thinking about within the whole e-commerce world if let's say you're a service based company maybe a company like mine. Like I'm nice our affiliate software where we are Ace a solution with software service solution. Is there a way or it could we a business like ours take advantage of Pinterest and have you seen other let's say software as a service companies do that or what's your opinion on that? So one of the things that I think would be fantastic for your business specifically as you've got the podcast and people love that kind of content. So when someone asked me should my business be on Pinterest that always thinking in terms of is the industry on Pinterest or is my type of. Product on Pinterest but the question are they should actually ask themselves is do I have content because Pinterest is based on a lot of content sharing you want to make sure that you've got content that leads to your site. So your side for example would benefit greatly because you have a podcast and you have content like that. But the thing also that Pinterest has been developing is I spoke about rich pins for product based businesses, you know where they. The pricing and everything they have other Rich pins. And so I do think it's valuable for a number of businesses. If you have an app, for example, you can actually get an average pen which lets people install the app directly from Pinterest. They just click on the button and it starts installing on their Google apps or on the iced or whatever. It is will just automatically go in there and begin downloading and so there are expanding into a variety of service offerings and that way you know where it's got apps. It's got things like. I have seen a lot of service-based businesses, you know software to Service as well where they have benefited greatly from Pinterest, but what they're doing to get people into that kind of service is the sharing content that helps the business owner for example understand why that's going to help their business or answer some questions that they're searching for. So when you think about what you're doing even this podcast episode, for example, it's going to help business owners understand how to use Pinterest for their business when they listen to this. They also going to be able to take in. Information about your own business and the software and all those other things that are applicable and so you sort of creating content around the questions they have and then you showcasing Your solution as well through blog posts through your site. So when you create your blog post think about what is my ideal client the person who would use this software asking and what are they thinking about what questions did it have and you're creating content around those questions and showcasing how your solution provider? You know the answer to that and will help them. And so that's what a lot of people are doing in that industry. You'll see it with a lot of software to service where they'll showcase a problem and the software is the solution. It's all sort of helps in that sense. Gotcha. Gotcha. Yeah, that's some awesome advice. I really appreciate that and definitely present this to our marketing team here on our end here. And yeah, I can see how that many businesses can really do that. It's really kind of a form of inbound marketing where you're empowering your customers that you're not really doing like a hard sell per se but usually answering their questions and you are you know, giving them that that information is just another way to do that. Now what I always like to you know wrap things up with is as far as leaving my listeners one thing that they should do initially. So if the business is kind of fresh out of the gate with Pinterest you already given us a great. A lot of great advice, but what's one of the quickest and kind of easiest thing they should do right when they create their account. I know it's very what would you suggest? But one of the things that I actually suggest for everybody and the reason I suggested is because a lot of people skip over but it's the biggest strategy tip. I can give you that's going to help you amplify your results is to do a keyword research on Pinterest just like when we do SEO searches and figure out what keywords we should use for Google you want to use Pinterest and go into the search bar type in the topic or industry or broad topic that your business is about and identify the keywords that are associated with that Pinterest makes it really easy. Easy wear underneath the search bar. You will see blocks appear with some words in them. It's called the guided search and a basically is the keywords that people are typing into Pinterest related to that topic. So they actually giving you that information and the reason they give that to you is actually for the Pinner they try to make it easier for people to take the next step in the search to find what they're looking for and they use their data accumulation from what people. What ninety percent of the people or more are typing into Pinterest? So you're able to then take that information and say okay my audience or people who are interested in this topic generally go from the broad topic to these Niche topic ideas. So now you have keywords that you can use in your PIN descriptions in your blog posts in your PIN images so that when you added to. It shows up under the proper search results. So when you add your blog or your piece of content, you're not just adding it to Pinterest and on searching for the keywords using you're actually using the keywords that people are typing in that way. It's more likely that you will receive more traffic and more views of your pain because it will show up in the search result where your audience is actually searching for that kind of content. Yeah, that makes total sense. I don't really thought about that. But yeah, you got to really start there the keyword research is critical so that you can kind of create your hole. Presence just around those keywords that people are searching for that you think will be appropriate for your business and you know, you're going to be answering those questions that people are asking so that's that's awesome. Yeah, I really appreciate everything that you shared with us Catherine great advice. We hadn't really talked much about Pinterest before an e-commerce marketing podcast. The final thing that I've always asked my guests. Now before I let you go is what is one thing that our audience would be surprised to know about you. Well, I was in a German music video When I Was Young it's a very odd fact that most people wouldn't know about me. That's why I love to share because there's just something so odd, but because yeah, I was a drum major 8 which is very similar to what you see, I guess an equivalent but not really would be in the marching band, you know the person in the front with the stick. I'm going to call it a stick, but it's called a. We actually in South Africa we had teams where it was filled with people like that for example, but we competed with like a moves and you did all sorts of things. So the music video required someone like that and I got the pot. So I was in a music video. Okay. That is awesome. Would you care to disclose the group or the band Yes. I hope I don't say this wrong, but it's fair to support. So if ete is be our OT, okay, and it did hit number one on the MTV chart. So I did enjoy it. Okay, that's good that a lot of people could say they were in a music video that hit the top of the MTV charts for sure. We are that's that is awesome. I appreciate you sharing that with us and you know kind of lighten it up for sure. Now, you know if any of our listeners out there want to get ahold of you and kind of pick your brain a little bit more than we did today on Pinterest or anything else eCommerce marketing related. How do they get in touch with? Definitely, so you can go to my website Catherine will house.com, and I've got a contact form their way. It'll let you basically write out the message that any question you have. Just pop it in there, and then we'll come straight to me and I can get this on for you. All right Catherine will once again, thank you for all of your wisdom and information about Pinterest really appreciate you coming on to the e-commerce marketing podcast you're so thank you so much for having me. Thank you for listening to the e-commerce marketing. You need to get more feedback and reviews from your customers and improve your customer retention.